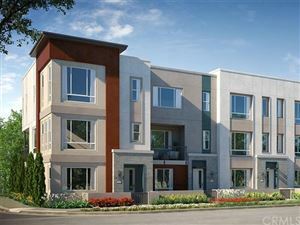 Looking for your dream home in the city of Irvine? We can help you to buy a home in Irvine. Please search for your dream home via our Irvine MLS listings and let us know how we can help. Irvine is an afﬂuent city in Orange County, California, United States. It is a planned city, mainly developed by the Irvine Company beginning in the 1960s. Formally incorporated on December 28, 1971, the 66-square-mile (170 km2) city had a population of 212,375 as of the 2010 census; in 2016 the city's population was 258,386. More than 40 years ago, the City of Irvine was still in its infancy. In 2015, Irvine has more than 200,000 jobs and more than 21,000 businesses have a license here. Today, the City Council supports its public schools with more than $9.1 million in direct and in-kind support each year; the City Council has approved a public-private partnership to build parkland on 688 acres of the Orange County Great Park; and businesses continue to make Irvine home or, as Broad com has done, to decide to build a new or permanent campus for the long-term. Irvine's noteworthy, present-day status didn't evolve from happenstance. It's the outcome of master planners, and those engaged in instituting the plan. Each day, the Irvine City leaders and staff work diligently to ensure a quality environment for the City's future. The layout of Irvine was designed by Los Angeles architect William Pereira and Irvine Company employee Raymond Watson and is nominally divided into townships called villages. The townships are separated by six-lane streets. Each township contains houses of similar design, along with commercial centers, religious institutions, and schools. Commercial districts are checker-boarded in a periphery around the central townships. All streets have landscaping allowances. Rights-of-way for power lines also serve as bicycle corridors, parks and greenbelts to tie together ecological preserves. The greenery is irrigated with reclaimed water. The homeowners' associations which govern some village neighborhoods exercise varying degrees of control on the appearances of homes. In more restrictive areas, houses' rooﬁng, paint colors, and landscaping are regulated. Older parts of the village of North Wood that was developed beginning in the early 1970s independently of the Irvine Company have the distinction of being a larger village that is not under the purview of a homeowners' association. As a result, homeowners in the older North wood areas do not pay a monthly village association fee; its neighborhoods are generally not as uniform in appearance as those in other villages, such as West Park and Wood Bridge. However, the more tightly regulated villages generally offer more amenities, such as members-only swimming pools, tennis courts, and parks. In addition to association dues, homeowners in villages developed in the 1980s and later may be levied a Mello-Roos special tax, which came about in the post-proposition 13th era. For homeowners in these areas, the association dues coupled with the Mello-Roos special tax may add signiﬁcantly to the cost of living in the city. 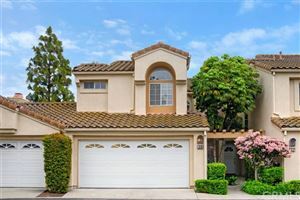 Gerry Goodman has been working with buyers and sellers in Irvine CA real estate for over 25 years and would love to discuss your interest in owning a fabulous house in the Irvine area. 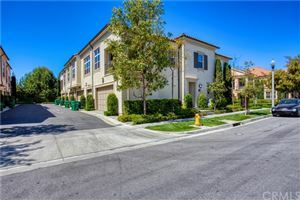 Login to view our Irvine MLS listings.